Release What You No Longer Need. Recharge To Be the Most Radiant YOU! Join Mountain Harmony Yoga May 2-5, 2019 for our first weekend retreat! Hawk Hill Retreat House in Mona, NM is nestled on a majestic, 10-acre hilltop with breathtaking, 360-degree panoramic views of the Sangre de Cristo mountains and is the perfect setting for this amazing weekend. Our weekend together includes daily Yoga classes, workshops to further your practice, and plenty of time for hiking, hot tub soaking and rest. The retreat house has plenty of room to connect with other participants or snuggle yourself away for some quiet time alone. Saturday night will cumulate with a fire ceremony to release what is no longer benefiting us and experience the renewal that is essential in the Spring. Retreat offers the benefits of Pratyahara, a beautiful and often overlooked aspect of the yoga path. Pratyahara is a withdrawing of the senses that allows for the calming of our mind. By taking a brief step away from the busyness of our lives, we are allowed the opportunity to clearly assess how we are living and re-focus on that which is important to ourselves, our family and our community. Release old patterns, Recreate to have fun and return to the daily grind Recharged and renewed with purpose. Daily yoga classes and programing will be led by Rebecca Jessen DPT, LMT, RYT-500. 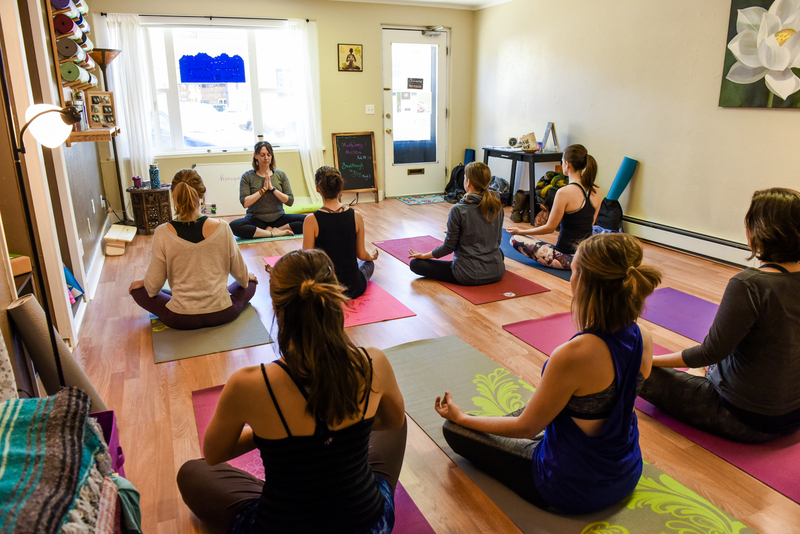 Owner of Mountain Harmony Yoga, she elevates our community to find strength, flexibility and balance in a supportive holistic approach to Yoga. Becca provides education with passion, wide and honest to support a deep exploration of the Self in Body, Mind and Spirit. She promotes a genuine, integrated yoga experience that instills joy, courage, balance and fun. 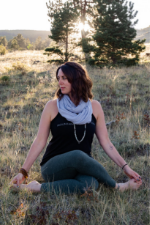 Retreat meals will be catered by Sierra Sterling, a 2019 graduate of Mountain Harmony Yoga’s Yoga Teacher Program. Starting out with a reception on Thursday night she will offer fresh, delicious and nourishing vegetarian meals. Sierra shares her love of nutrition and healthy living through her gift of cooking as a means of supporting retreat participants to find balance mentally, physically and spiritually. This will truly be a treat! Pricing is $395 per student. Payment in full will reserve your space. We are truly honored to be offering this experience with our students! Join Mountain Harmony yoga for this rejuvenating weekend retreat!